I would have at least shaved my legs. I would have at least shaved my legs, attempted to look a bit less tired, and washed my bike. I would have made some effort to seem more pro. The thing was, it was supposed to be a chilled-out ride. Natsuki-san and I had made plans to do an easy ride up Onekan on Sunday [the rest of the Bonsai team were headed to Nagano for a monstrous ride], and I figured that despite being bloated and about 30 seconds away from getting my period, it would force me out the door and onto my bike. I mean, this was the bike ride equivalent of hanging out on a friend's couch, watching movies, and talking about boys while eating too many cookies, not dressing up and going out to be looked at by boys. When I rolled into our meeting spot, I was informed that we were meeting people. It took a few seconds to sink in. "So at the Rapha pop-up shop yesterday, I mentioned we were going to ride together, and then Ichifuru-san said he wanted to come, too, and then some other people said they might come..."
It took an hour to sort of sink in. At the convenience store meet-up spot, we coasted in and found the talented Yuji Yamada waiting for us, in full Rapha and a Superb cap. I assumed he was "some other people," but Natsuki-san was busy texting. "Yano-san said he just got up, I'm not sure what that means," she said. Yano-san? 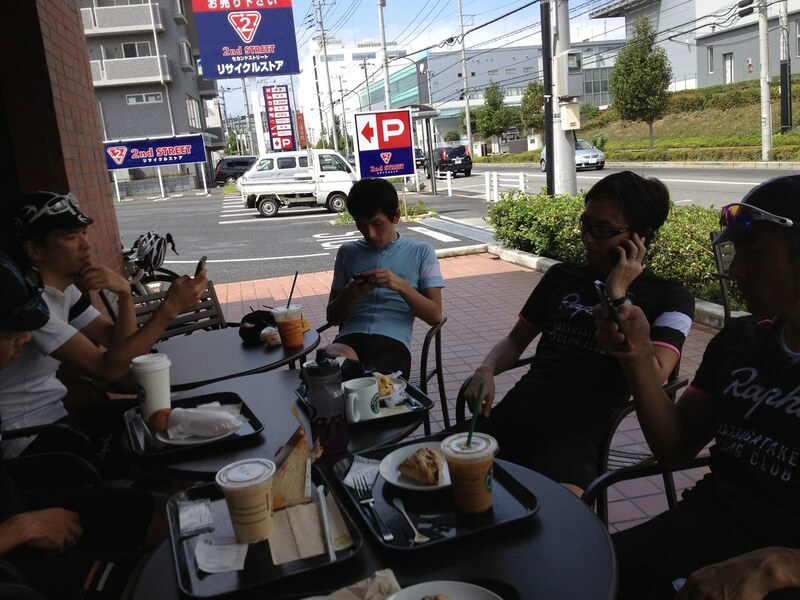 The [No-No-] Notorious Y-N-O of Rapha Japan? 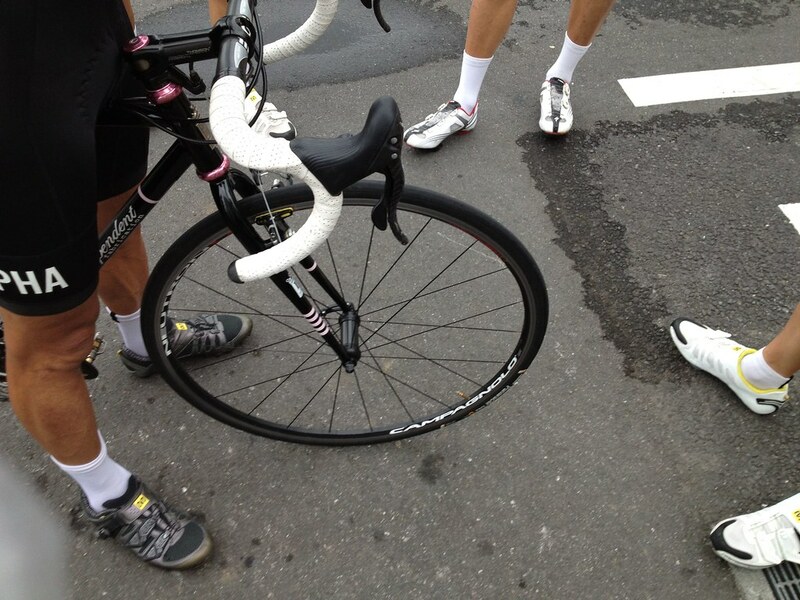 I'd actually met Daisuke Yano of Yastugatake Bicycle Studio and Rapha Japan back in February. Super chilled out and totally cool, he had been nice enough to invite me on a ride around Tokyo with TJ, which unfortunately got rained out. A little intimidated by the idea of actually riding with him, though, I had a casual hope that maybe "I just got up," meant "nah, I'm not going to make it this time." I was totally wrong again. 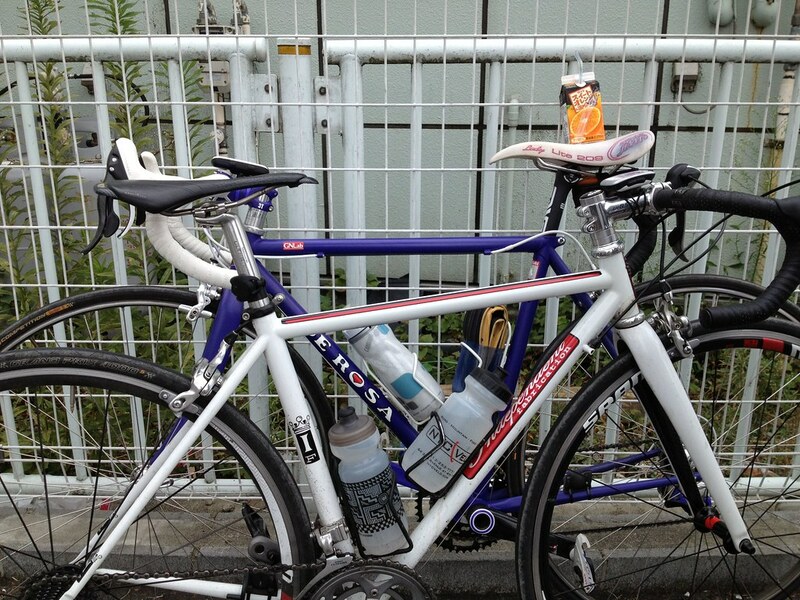 He rolled up with Ichifuru-san on a borrowed IF, both of them in Yatsugatake-Rapha gear. Everyone was impossibly slim and decked in Rapha. Natsuki-san and I had on Bonsai jerseys. I also had on Assos. FML. 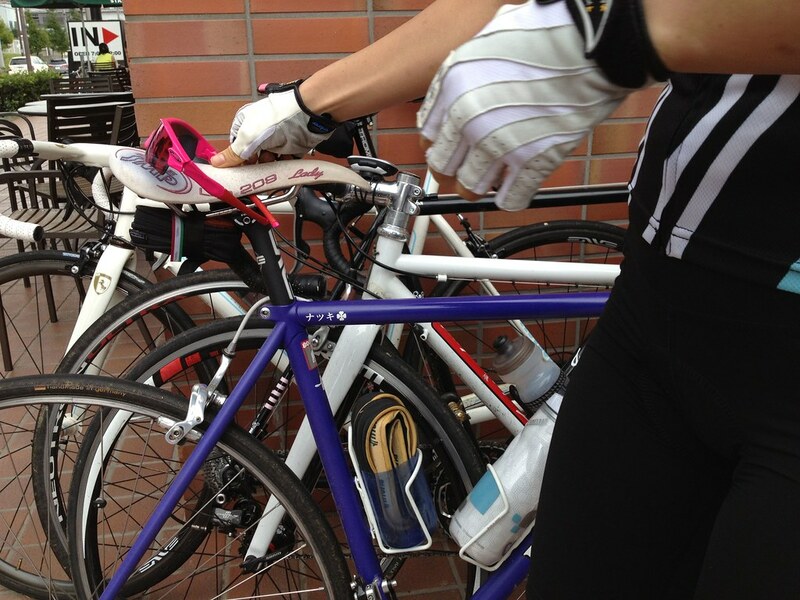 It’s a sign of a good ride to come, and good riders, when things silently fall into place. 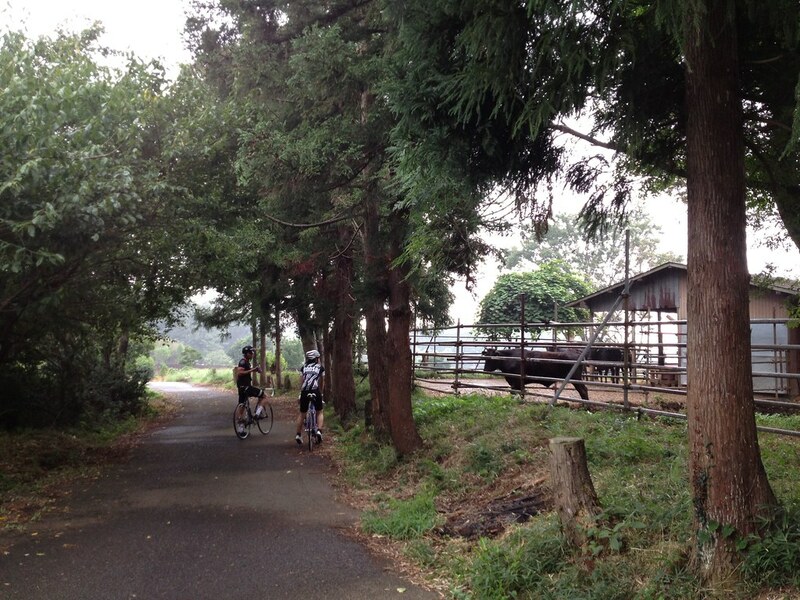 Sandwiched between the Rapha [gentle]men, Natsuki-san and I surged up 10% climbs that topped out at 14, 15, and finally 18%. Through secluded roads too narrow to zig-zag up [trust me, when I hit that 18% wall, I really tried], the guys shimmy-ed up the inclines like they were 2% grades, while I grunted with effort like a constipated rhino. The realization that it must have been incredibly easy for everyone else only came much later. Because these guys are strong. Given their Rapha affiliation, that shouldn't come as a surprise, but it's a strength that is, for lack of a better term, comfortable. Unasked, someone was always playing sag wagon by bringing up the rear, with none of the impatience that lets you know that a charity ride is exactly that. For the first time since flying back to Tokyo with a couple bikes in tow, I didn’t feel guilty riding with exceptionally strong, skilled cyclists. As awesome as the riding was, I was more than ready to fill up on carbs and coffee by the time we pulled into the usual Starbucks. For some reason, at this point in time, I was caught on camera giving The Notorious YNO a look of horrified disgust. I honestly can’t remember what we were talking about, but this is possibly the best picture of me, ever. And because Rapha was involved, it started to pour on the way back. Sucking a wheel felt like taking a shower, and my shoes became little bags of water. We beasted through, and despite the discomfort, I realized I hadn’t gotten this drenched on a ride in a long time. It actually felt kind of good. The rain conveniently let up as we came back to the convenience store we had assembled at that morning. We said our thank yous and our goodbyes, and rolled our separate ways. Natsuki-san and I ended up spinning through downtown Tokyo to check out the Rapha weekend pop-up in our still-wet chamois shorts before heading home, tired but happy. It was one of the more unexpected of days, and definitely an amazing one. I’m hoping that sometime soon, we’ll get to do it all over again.